All of these constellations first appear together in the night sky in mid February over Glasses Island and our ancestral farmers saw this as a signal to start planting their crops! Story telling was very popular in Ireland up to the middle of the twentieth century. A Seanchaí (Irish word for a story teller) would entertain households with his interesting stories. In our song the Seanchaí is called Johnny. He sits down and tells us the classic story of “Hey Diddle, Diddle.” Old Biddy is very impressed with the way Johnny recites this nursery rhyme so she asks him to tell it again. Johnny obliges. We weave the melodies of these traditional Irish jigs as counterpoint to the singing. Mandolas provide the song’s backing. Mandolin and fiddle play all musical interludes and the flute joins in for the finale. Click on the play arrow above to listen to our version of Hey Diddle Didle and Johnny Sat Down set to Irish music for kids. 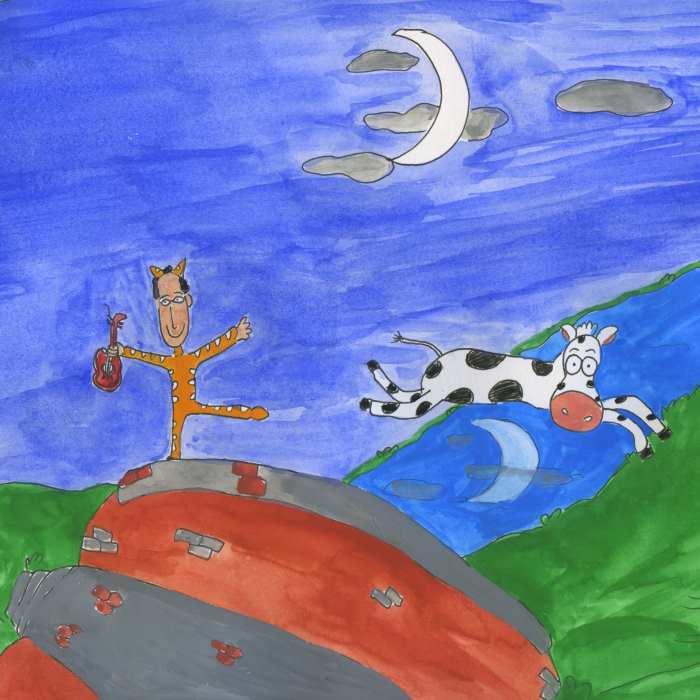 Go to An Old Story page where you can share our nursery rhyme with your friends and/or get it as a free MP3 download. Social, Environmental and Scientific Education: For homework, children can ask grandparents, great-grandparents or elderly neighbours questions about what life was like for them when they were young. How does it differ from today? Have they old photographs or objects from that time? Children can share their discoveries with the rest of the class. In conjunction with our song "The Star", introduce your class to constellations and how they have influenced cultures down through the ages.